Clean eating doesn’t have to take all night. 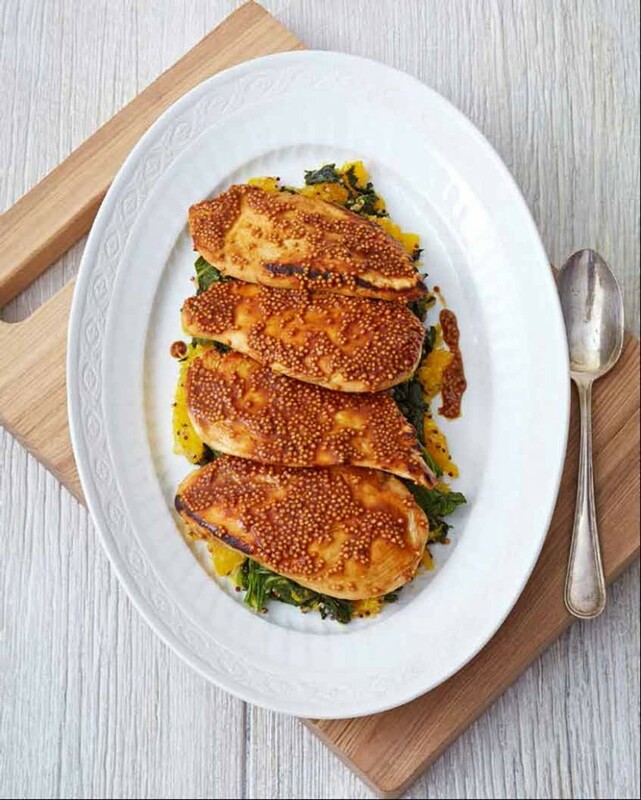 Prop up your tablet or laptop on the counter, fire up an episode of Modern Family and have this healthy gluten-free chicken dish on the table before the final credits roll. This recipe is dairy free and nut free. Place the mustard seeds and reserved orange juice in a small dish and set aside. Bring the water to a boil in a saucepot. Add the quinoa and simmer until cooked, about 12 minutes. Set aside. Lightly coat a large nonstick skillet with cooking spray and place over medium-high heat. Season the chicken with salt and pepper, and add to the skillet. Cook until browned, about 2 minutes per side. Transfer chicken to a plate. Add the mustard greens to the skillet and cook until wilted, 3 to 4 minutes. Add the orange segments and quinoa and cook until warmed through. Season with salt. Spoon the greens onto four plates. To the skillet, add the orange-mustard seed mix, Dijon mustard and soy sauce and bring to a simmer. Add the chicken and warm through. Serve the glazed chicken over greens. Nutrition Analysis: 250 cal, 3 g fat, 65 mg chol, 400 mg sodium, 25 g carbs, 5 g fiber, 13 g sugar, 32 g protein. 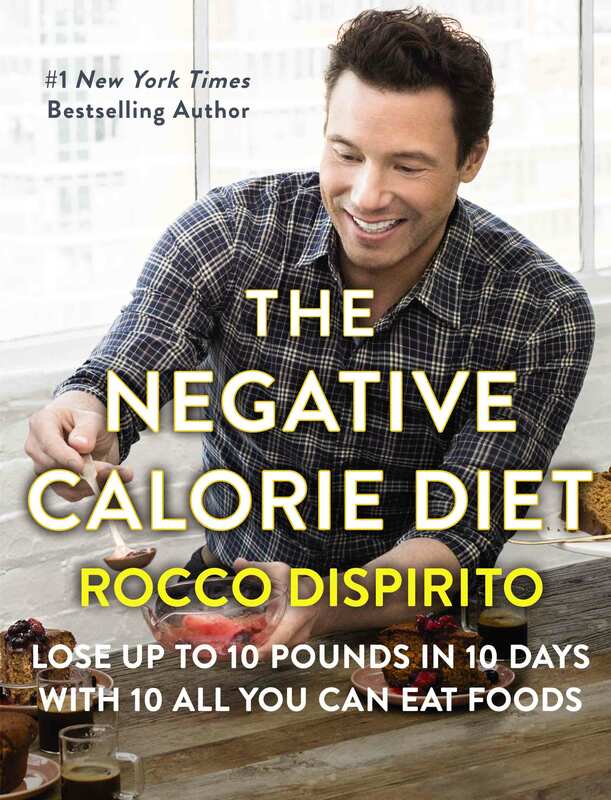 Excerpt from The Negative Calorie Diet by Rocco DiSpirito. Copyright © 2016 by Flavorworks, Inc. A HarperWave book, an imprint of HarperCollins Publishers.